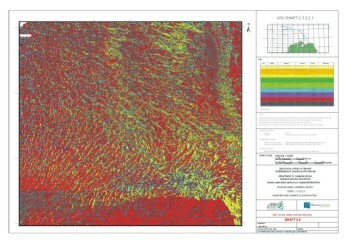 GSI, in collaboration with MI, is currently producing on-line seabed classification maps (1:60,000) for the entire Zone 1 & 2 areas on the Celtic Explorer.These maps represent a classification of the entire seabed into different geological types from fine sediments (sands) to coarser clastics (gravels) and exposed bedrock. The Image provincing involved is based on the acoustic reflectivity of the sonar. These are final products developed from INSS data. These products can then be used as a baseline dataset for different applications such as marine habitat maps, fisheries maps (leading to improved efficiency and conservation), marine sand/gravel extraction, marine cable planning and others. The processing of these maps has been developed in close partnership with Quester Tangent Corporation and the University of Victoria in Vancouver Island, BC, Canada.